It’s a two top zippered compartment. 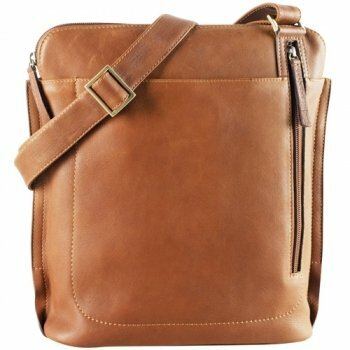 The gusseted organizer compartment features 9 multi-function drop pockets, 4 credit card slots, 2 pen sleeves, 2 full width pocket to store your daily planner, business articles, or any legal size paper. It also comes with a gusseted flap secured pocket that can be used to store your PDA or any electronic devices, a snap on removable key fob, and a zippered pocket for private articles you want separated and secured. 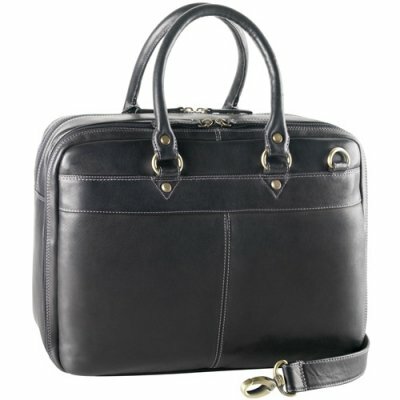 The main compartment can accommodate a 15″laptop, binder, or a file folder. It also includes a back wall zip pocket and a removable key ring. 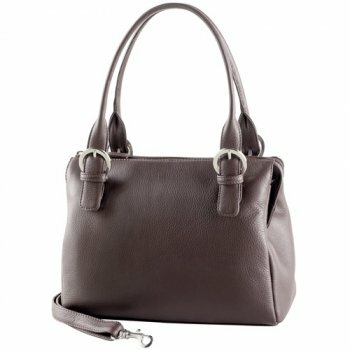 On the front exterior of the bag, you will find two zipper pocket to store your keys, receipts, small wallets, or items you want separate and secured. 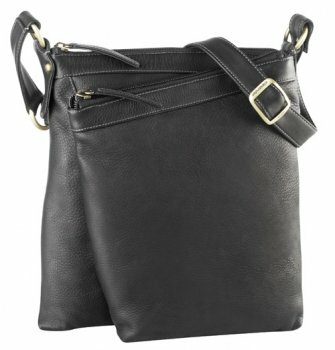 It comes with a twin fix rolled leather strap and a adjustable/removable shoulder strap.